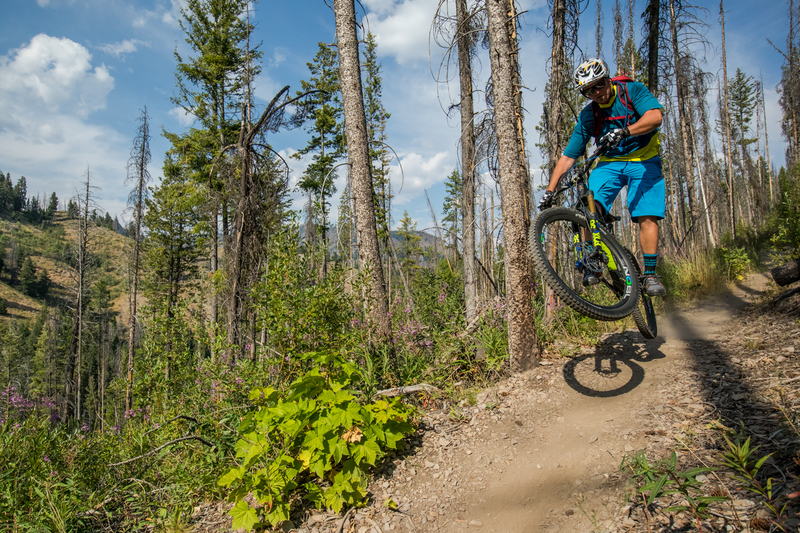 Sun Valley is home to all-time big mountain riding in the spectacular high country of the Sawtooth Mountains. On this trip, you'll rip endless miles of gorgeous high-alpine singletrack, with a world-class mountain town home base. Sun Valley, Idaho sits at the foot of the Sawtooth Mountains, one of the most scenic mountain ranges in the United States. 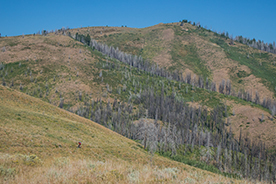 The landscape and views alone are worth a visit to Sun Valley, but we tend to focus on the abundance of singletrack in the area. 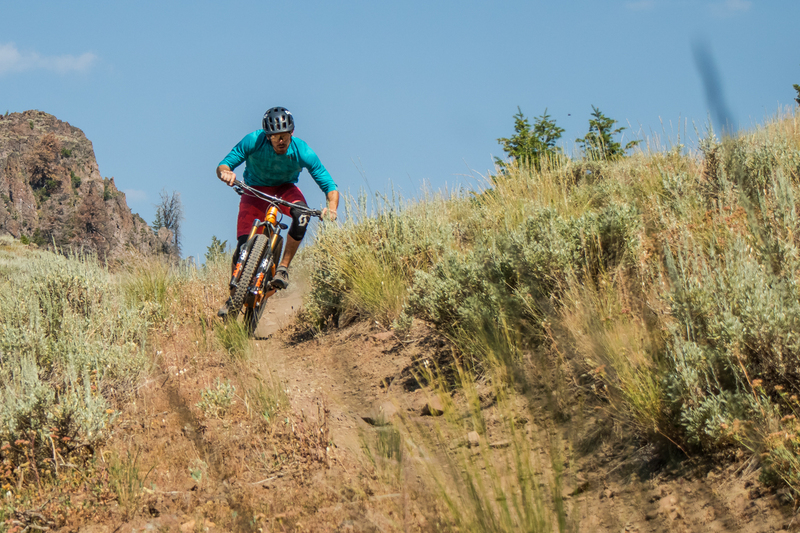 With over 400 miles of trails, all interconnected and close to town, it’s the perfect destination for this guided mountain bike trip package. 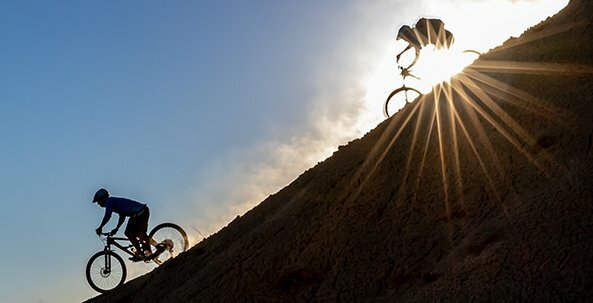 In order to find the goods, we've partnered with the great Chasing Epic Mountain Bike Adventures to offer you the most and best riding possible. 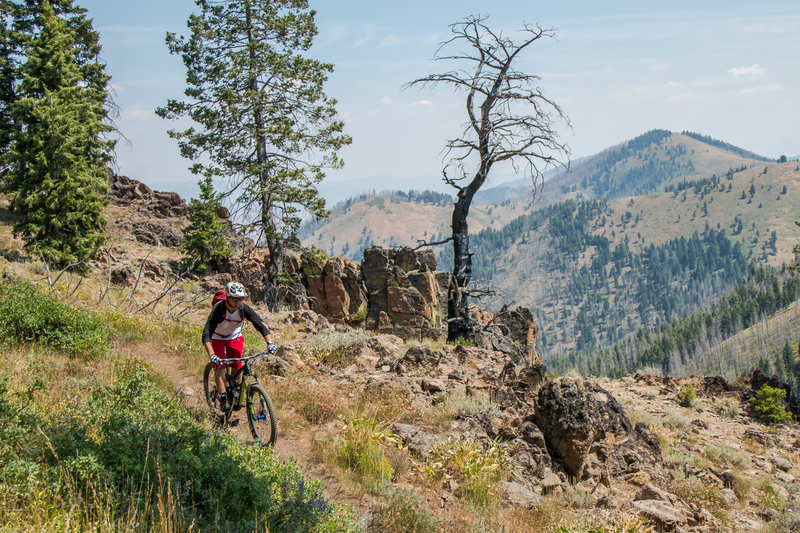 Between Sun Valley and north to Galena Pass, you’ll find big mountain riding with huge views, long climbs, and long descents that will have you grinning from ear to ear. 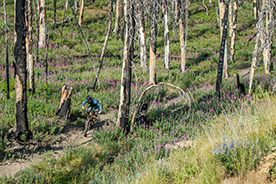 The topography lends itself to some amazing high-country riding, with long drainages, huge mountain ridges, and plenty of forests and flowers to keep things tip-top. To the west of town is the true backcountry experience, where we’ll show you epic descents with not a soul in sight. 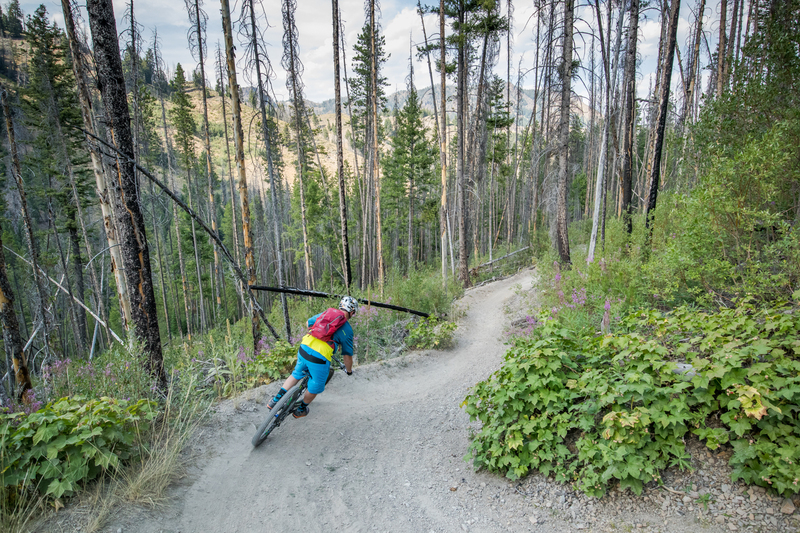 Partnering with local guides on this Sun Valley Mountain bike trip, you'll be shown these epic rides that would be tough to find on your own. Then we'll head south of town towards Hailey, where we'll ride some lower elevation rides, which are right up there with the best and offer some of the most fun 15-20 mile loops we’ve ridden anywhere. Welcome to Sun Valley! Chances are, you've never ridden at an elevation above 8,000 feet so we're going to help acclimatize those legs and lungs this afternoon with a ride off Galena Pass. Expect some of the flowiest trails around with views to make your friends jealous; later this evening, we'll head down to a group dinner and re-energize for the next three days of big rides. Ride: 15 miles, 2,000 feet climbing. This morning we'll hop into a shuttle to head north of town for an epic ride! The views from the mountain ridges north of town are truly epic, and the riding is there to match. We'll combine some of the locals' favorites that include huge descents, and finish the ride by cruising along the river right back into town. Today's ride will be about 24 miles with 3,500 feet of climbing, but with the shuttle we'll get almost 6,000 feet of descent! Another shuttle this morning, but this time we're heading behind the ski area to get even further into the backcountry. Today's ride combines some of the more "out there" routes that you would never find on your own, which is why we only work with the best local guides! 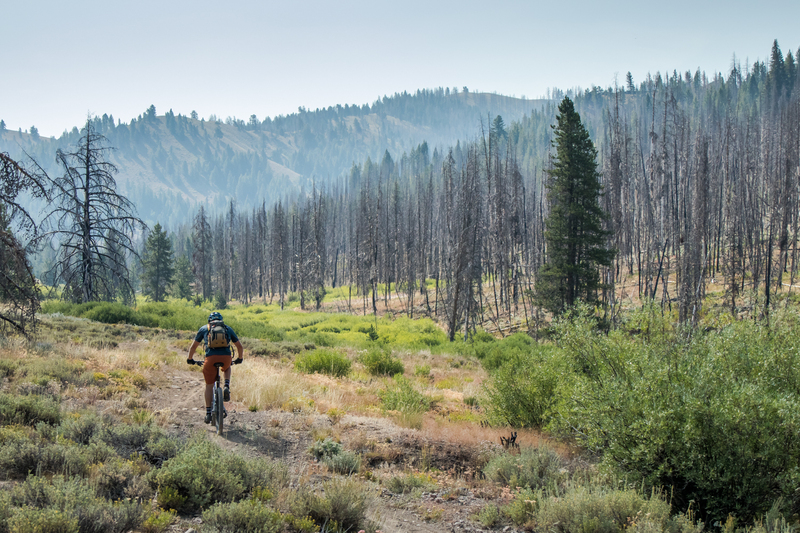 Expect a couple of huge descents which take us over 5 miles down the most beautiful creek drainage you've ever seen... ending with a soak in the hot springs and a cold post-ride beer! Ride: 20+ miles, 3,000 feet climbing. We don't take it easy on the last day, which means we'll head south of town to do a big loop on the Greenhorn Imperial trail system. These trails might be relatively close to town, but you still get that backcountry feel when you top out above 8,000 feet and can't see another soul in sight. This is the perfect way to end the trip: 15 miles, 1,800 feet climbing. 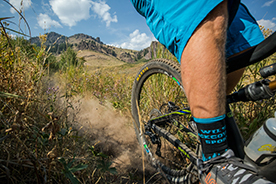 High up in the Sawtooth Mountains, Sun Valley has a huge selection of beautiful backcountry riding. The trails here are flowy and spectacular, with the scenery and solitude to make you feel like you're the only riders out there. 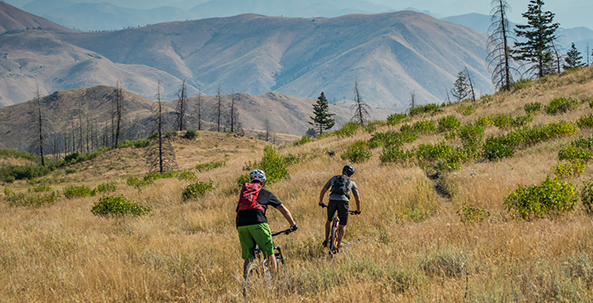 On this guided Sun Valley mountain bike trip we'll explore several world-class trail areas all within a short drive from town. High-end demo bikes are included in your trip package. If you prefer to bring your own bike, we can offer a $150 discount off your trip -- please make sure it's in tip-top shape before you arrive. As for gear and clothing, Sun Valley is located high in the mountains. This means temperatures can range from very warm to very cold, be ready for both extremes on and off the trail. 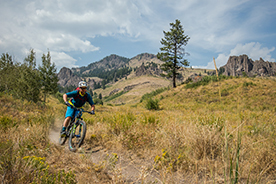 You will be responsible your own airfare for the trip, transfer to / from Sun Valley, as well as any costs associated with transferring your bicycle, if you opt to bring your own. Travel insurance is also not included, and is highly recommended to cover you if you are forced to cancel your trip, or if you need to cover medical assistance, emergency transport, and/or theft or accidental damage while traveling. Yes, we have high-end demo bikes included with each one of our booked Chasing Epic trips. And not just any demo bikes: we carry some of the most fun, cutting-edge bikes on the market today. We have both 29″ and 27.5″ bikes along with mid-travel and long-travel; basically something to suit any type of rider, for any type of riding. All of our bikes have carbon frames and very high-level build groups. As you know, it’s hard to carry the exact quantity of sizes and models to fit every customer on every trip, so there will be limited availability accordingly. To guarantee you get the bike you want, be sure to book early and correspond with us immediately to reserve your bike. We understand that some of our customers, want to ride their own bikes instead of our incredible demos. Not a problem! For customers not utilizing our demo fleet, we offer a small discount on the price of your trip: $150 off our 4-day trip price. To take advantage of this discount, please note at time of booking and Customer Care will add the discount to your order. Additionally, if you’re flying into the trip destination and need to ship your bike, let Chasing Epic know as soon as possible and they’ll help you with those logistics.